The One and Only Ivan | Shelf Elf: read, write, rave. Often, the longer a book sits in my TBR pile, the less likely I am to read it. It gets forgotten, or it loses its initial appeal. Then there are the books in the pile that you look at and you think, “Oh, yeah! I still really want to read that one. I’ve got to get to it.” And months pass. The One and Only Ivan by Katherine Applegate, somehow ended up stuck for ages in TBR status, and reading it has made me wonder what other miracle books might be in that pile, because I think this book is one miraculous book. The One and Only Ivan is the story of a gorilla who lives in a cement and metal “domain” in the Exit 8 Big Top Mall and Video Arcade. He’s been there for 27 years. There’s a jungle scene painted on one wall of his cage and people pay to see him, though not as many as when he was young. Ivan is alone in his domain, but he has friends: Stella the elephant, and Bob, a stray dog who forages for scraps in the Mall trash. There’s also Julia, the daughter of the man who cleans the mall at night. She likes to draw the animals, and talk to them. Ivan is an artist too. He paints what he sees in his cage, mostly apple cores and banana peels. He wishes he could draw something that doesn’t yet exist, that he only imagines, but he’s not unhappy with his ordinary pictures. As the mall starts losing money, the owner, Mack, brings a baby elephant to be part of the show and hopefully to drum up business. Ruby’s arrival signals a change in Ivan. He promises Stella that he will protect Ruby no matter what and find a way to get Ruby to a safe place. It will take all of his courage, creativity, and hope, to make good on that promise. And FYI, you will be needing tissues. Applegate’s prose has a pared down quality that brings it close to poetry. The directness and simplicity of the language fits with how you might imagine a gorilla to think and perceive the world. Each short chapter is perfectly shaped for great emotional impact. 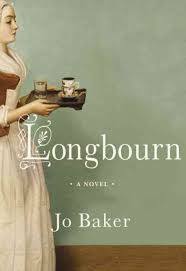 It’s not often you find a book that will not intimidate a less confident reader but that still has such rich themes and gorgeous writing. I’d feel confident putting this one in the hands of a child who is more reluctant as well as an avid reader. It will prompt thinking and discussion about the issues connected to humans’ use of animals for profit, but also inter-species understanding, and compassion. The gentle sweetness of Patricia Castelao’s spot illustrations enhance the reading experience. Can you say perfect read aloud? Teachers everywhere, take note. You want this one. Here’s a Q&A with Katherine Applegate, and you should take a look at the website for the book where there’s some extra information for curious readers and for teachers to bring into the classroom. 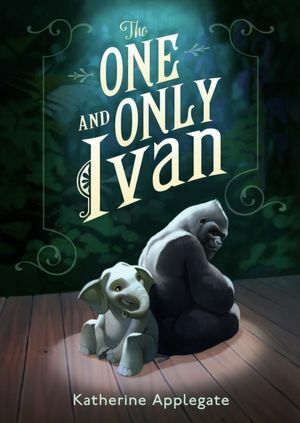 The One and Only Ivan is published by Harper, an Imprint of Harper Collins Publishers. This entry was posted in Middle Grade, Openmind, Teacher Titles and tagged animals in captivity, Harper, katherine applegate, middle grade, zoos on August 26, 2012 by shelfelf.